org.eclipse.birt.report.engine.fonts_version plugin see this [https://bugs.eclipse.org/bugs/show_bug.cgi?id=347431 bug]. 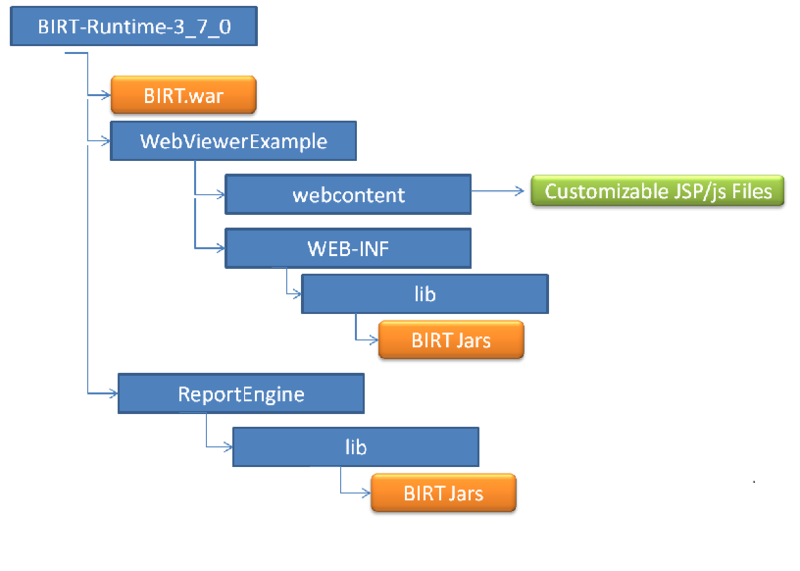 To simplify application deployment, BIRT 3.7 features a new POJO based runtime. The new Runtime consists of a set of jars that can simply be added to the classpath of your application. While this affects the Runtime of BIRT the designer will continue to use the same OSGi based approach as previous versions of BIRT. The new Runtime is available for download on the BIRT web site and is structured as illustrated in the following diagram.